Showing 38 articles from November 29, 2017. FRANKLINTON -- John Morgan, a man apparently fueled by a history of drugs, alcohol and his own demons, confessed to killing his 83-year-old father last weekend. It has left the friends of Richard Morgan Jr. mourning the passing of a longtime businessman and even better friend. "He was a good businessman and he helped a lot of people," said Joe Cutchins, a man who called Richard Morgan his neighbor for 30 years. LOUISBURG -- Operators of the county's new hospital set up temporary signs last week, announcing that they are coming soon. 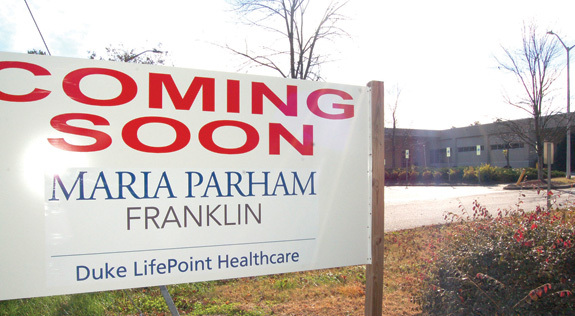 More permanent signs will follow, rebranding the Louisburg hospital as Maria Parham Franklin: Duke Lifepoint Healthcare. Maria Parham Health is part of Duke Lifepoint Healthcare and its chief executive officer, Bert Beard, told county commissioners that Maria Parham's name has to be front and center for legal reasons. Dr. Rhonda Schuhler (right) takes the oath of office from District Court Judge Adam Keith during a special Monday morning board of education meeting. Holding the Bible is Dr. Elizabeth Keith, chair of the Franklin County Board of Education. In a matter of a couple of hours Monday morning, major changes in the Franklin County School System became reality. 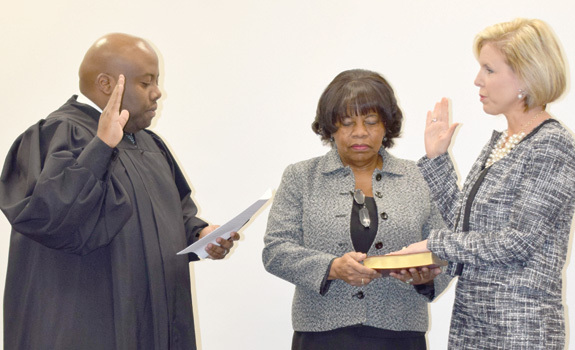 First, Dr. Rhonda Schuhler took the oath of office as superintendent, replacing Dr. Pascal Mubenga who resigned to take the helm of Durham Schools. Dr. Schuhler, who had been second in command of the local school system, became the second woman to hold the top job in the district and immediately moved to fill key vacancies in her administration. Now that the turkey has been demolished, the inevitable slide toward the Christmas holiday season has begun -- I'm left looking for a recipe for crow! The recipe is needed because I doubted a friend recently -- and I'm still having problems coming to grips with the situation. Bob Radcliffe, from up Kitrell way, came by the office several weeks ago upset by the ways schools are being forced to pay state sales taxes on what they purchase and how unfair that is to our young people. Maybe it's the wrong time to raise this issue -- after all, it's barely a week after the biggest food-focused holiday of the entire year. But a story in our Thanksgiving edition offers a unique glimpse into rural living and opportunities for small farmers that have been ignored locally. The "farm to fork" movement has gained a huge following in recent years as Americans become more concerned about the sources of their food, how far it has been shipped, how it has been modified and/or processed and just how fresh supposedly fresh food really is. If you know where to look for it, you can find a pretty funky song that serves as a love letter to Franklinton. The catchy tune speaks to the appeals of Funky Town, as its referred. Franklinton is small. 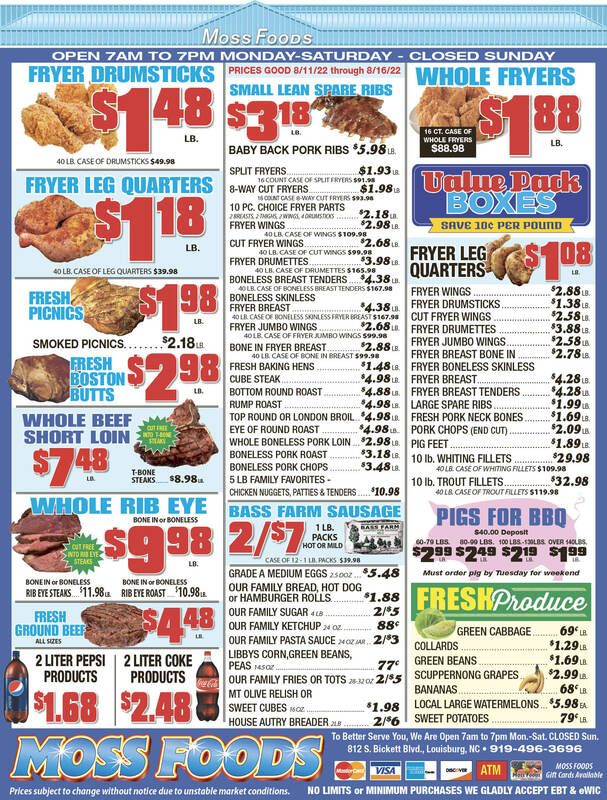 It has a few places, as the song says, "to get your eat on." 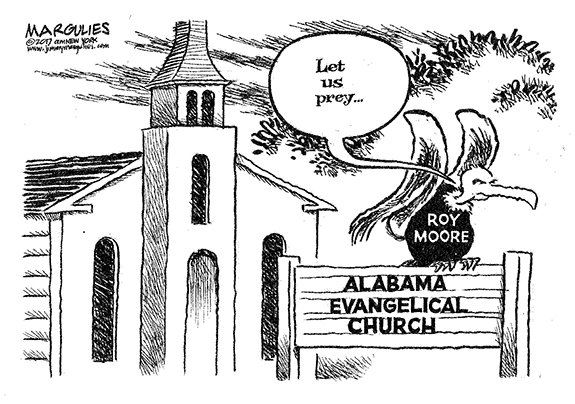 There are, indeed, churches, almost on every corner. Nothing is more important to families than the education of their children. Over 30 percent of Franklin County property taxes go towards funding public education. The Republican leadership plans to bring the long-awaited tax cut bill to the floor of the U.S. Senate this week. The exact content of this bill has changed almost daily as the leadership tries to satisfy all members of the deeply split Republican majority. LOUISBURG--Funeral services for Elderess Barbara Ann Bobbitt, 75, who died Monday, Nov. 27, 2017, will be held Saturday, Dec. 2, at 11 a.m. at Gospel Unlimited Church of Christ Disciples Inc. in Castalia, with Bishop Johnny Alston officiating. Burial will follow in the church cemetery. WARRENTON--Funeral services for Nancy Carol Daniel, 69, who died Tuesday, Nov. 28, 2017, will be held Sunday, Dec. 3, at 3 p.m. at Walnut Grove Baptist Church in Warrenton, with the Rev. Eric Evans officiating. Burial will follow in the Walnut Grove Church cemetery. LOUISBURG--Vickie Lou Bryant Baker of Louisburg, NC Tuesday, Nov. 28, 2017. A memorial service will take place on Friday, Dec. 1, at 11 a.m. at East Wake Church of God in Wendell. 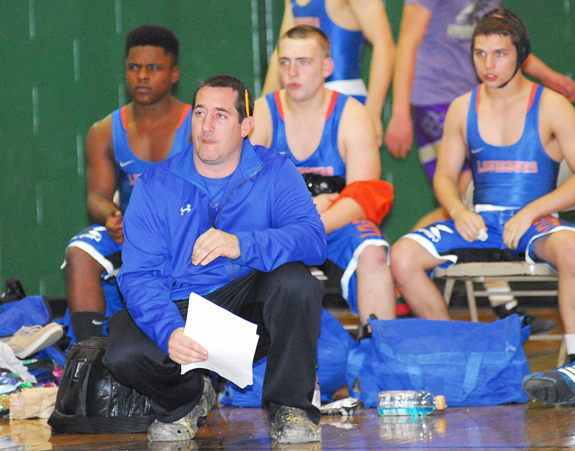 Louisburg High School wrestling coach Jason Crawford saw his team fare well during last Tuesday's action at the I-95 Duals Thanksgiving Tournament, which was staged at Northern Nash High School in Red Oak. RED OAK -- Jason Crawford had a front-row seat for some of the glory days of Louisburg High School wrestling -- both as an assistant and head coach. Crawford worked under Phil Mueller when the program was created in the 2000s and eventually took over for two seasons as the Warriors continued to prosper on the mat. LHS has experienced some hard times lately, mainly due to a lack of numbers. SEE YA NEXT TIME. Bunn's Butterball Cooke (left) dribbles past a Southern Vance defender during Tuesday's Northern Carolina Conference girls basketball showdown at the SVHS Gymnasium in Henderson. 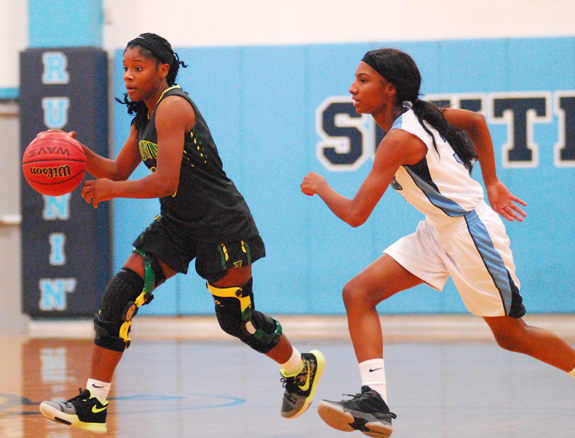 HENDERSON -- Despite their lofty respective reputations as supreme point guards, Bunn's Butterball Cooke and Southern Vance's Nashia Branch had never met on the court in a high school girls basketball game. That changed Tuesday as the point powers jousted back and forth as part of an epic showdown in the Northern Carolina Conference opener for both clubs at the SVHS Gymnasium. ELITE SEASON. 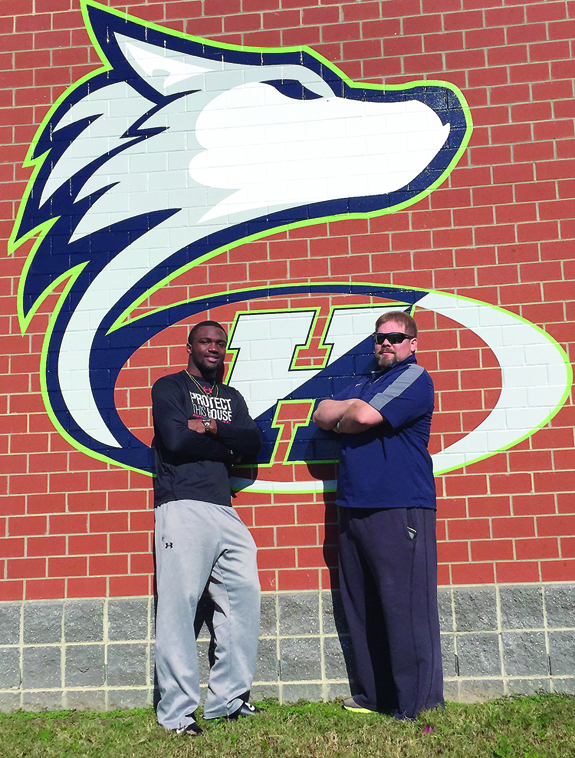 (L to R) Ricky Person and Jeremy Buck helped lead Heritage to the Elite Eight of the Class 4-A Playoffs. WAKE FOREST -- Jeremy Buck vividly remembers the first time he saw Ricky Person on the football field. Buck was the head coach at Franklinton High School, and Person was a seventh-grader at Cedar Creek Middle. Buck attended a CCMS game with the hope of scouting the eighth-graders on the roster, but his eyes kept coming back to that younger kid who kept making play after play on both sides of the ball. 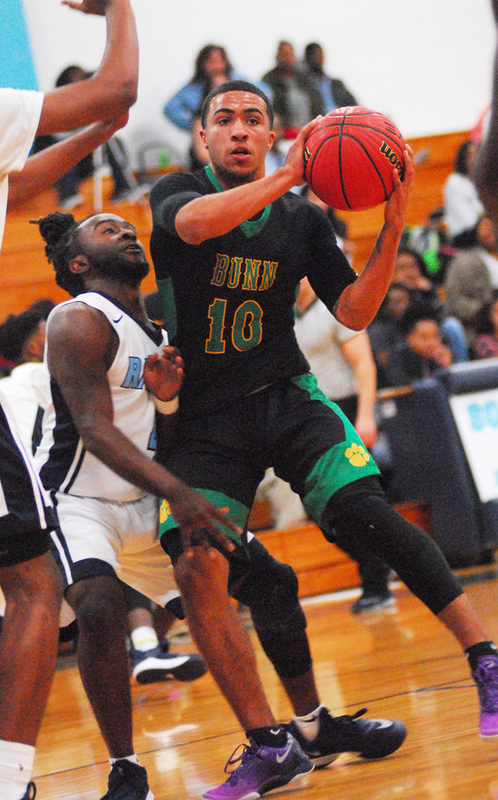 BUNN -- Bunn High School has experienced an uncharacteristic dry spell on the boys basketball hardwood over the past two seasons. But don't expect that drought to continue during the 2017-18 campaign. 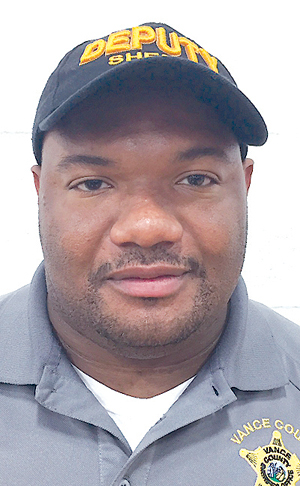 This year's Wildcats boast the most talent that Coach Patrick Reynell has enjoyed during his brief career at BHS -- and that intangible was on display during Tuesday's regular season opener at Southern Vance. ROXBORO -- Franklinton High School's boys basketball squad went 1-1 during a two-game stretch last weekend at the Roxboro Community School Thanksgiving Tournament in Person County. Last Friday, the Red Rams were edged 67-63 by former league rival Warren County. 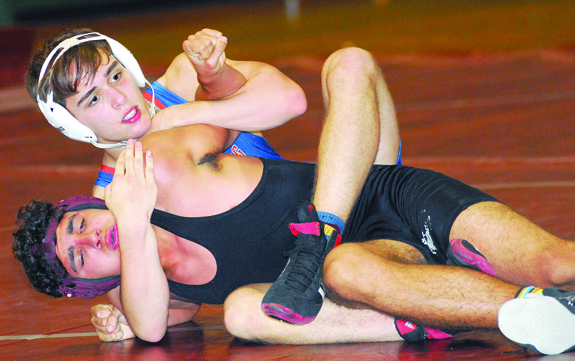 BUNN -- Bunn High School hosted a tri-match wrestling event on Tuesday against Northern Carolina Conference opponents Louisburg and Roanoke Rapids. The Wildcats claimed both events, including a 45-33 decision over Louisburg in a renewal of the schools' backyard rivalry at the Bunn Dome. Bunn, coached by Parker Haake, won the final two matches by forfeit over Louisburg to pull away in what had been a close event to that point. Louisburg High School's Malikai Briggs (top) secures a hold on Nash Central's John-Paul Ramos as part of last Tuesday's action at the I-95 Duals Thanksgiving Wrestling Tournament at Northern Nash High School in Red Oak. SUPERB SEASON. 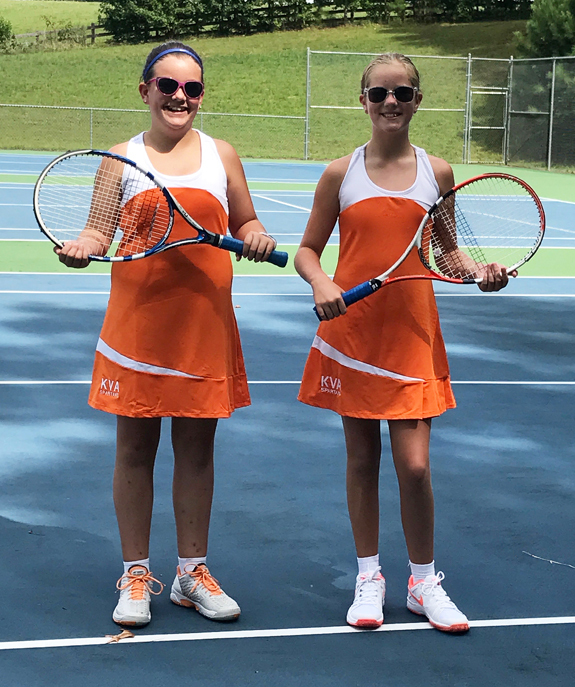 Franklin County residents (l to r) Sabrina Odom and Libby Cash joined the girls junior varsity tennis team this fall as sixth-graders. The Lady Spartans finished 9-1-1 on the junior varsity level to go with an impressive 11-4 ledger for the varsity squad. The varsity also 4-1 overall in conference action. PRIZE HARVEST. 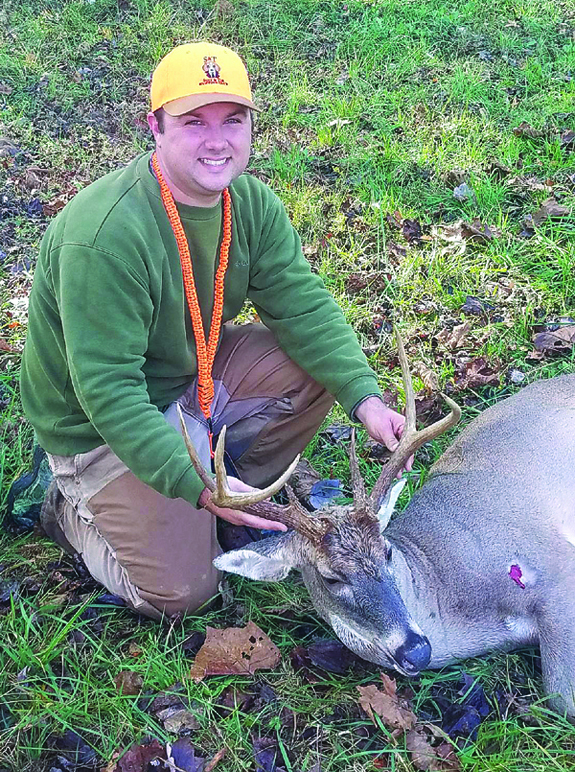 Jay Wright of the Justice Community harvested this impressive eight-point buck earlier this month during a hunting expedition in Franklin County. Louisburg College has announced its production of the holiday classic "Annie." Norris Theatre Director Wally Hurst will direct the production, with music direction by Brian Miller and choreography by Maria Hurst. Annie will be presented Dec. 7 through Dec. 17. 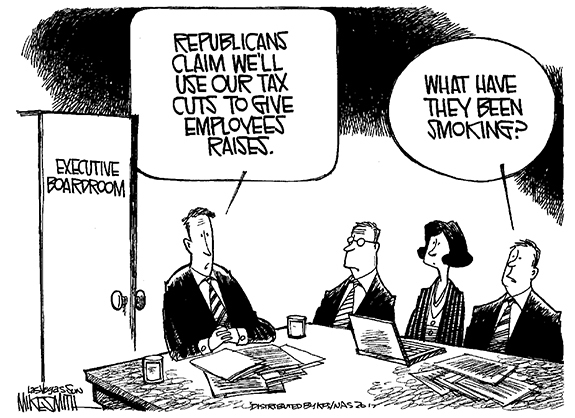 RALEIGH -- North Carolina Gov. 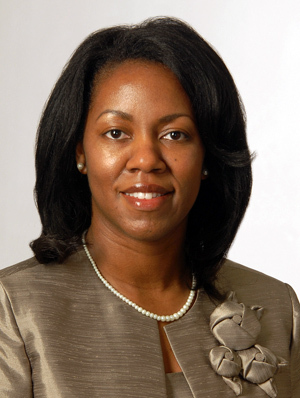 Roy Cooper has appointed Dr. Stelfanie Williams, the president of Vance-Granville Community College, to the Governor's Commission on Access to Sound, Basic Education. The Commission, which the governor created through an Executive Order, will focus on the critical importance of North Carolina meeting its duties under the state constitution as underscored by the landmark court rulings in Leandro v. North Carolina and Hoke County Board of Education v. North Carolina. LOUISBURG -- The Franklin County Board of Commissioners approved a land purchase, helping cross one more item off a 2008 school bond referendum. During its Nov. 20 meeting, the board also approved a change order to facilitate the completion of a sewer rehab project in Franklinton. And, they rejected a $1.9 million loan for sewer upgrades in both Franklinton and Youngsville, determining that they could fund the project inhouse rather than borrow money. SPRING HOPE -- The sheriff's office Community Action Team seized drugs and money from a residence as part of an investigation. 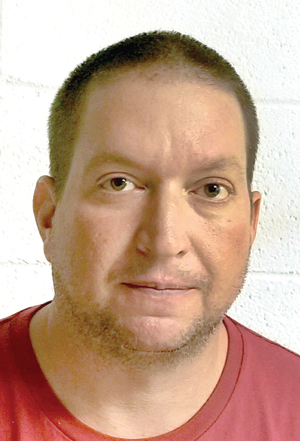 According to Sheriff Kent Winstead, the unit seized five grams of oxycodone, six grams of marijuana and nearly $1,200 in cash from a home on Carlyle Road on Nov. 27. 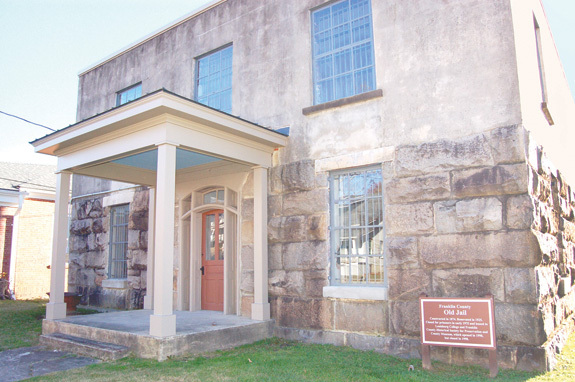 LOUISBURG -- Historic renovators handed Franklin County commissioners keys to a newly stabilized building and handed them a challenge: Don't let the once-abandoned jail site sit vacant. In the summer of 2016, county commissioners approved a two-year lease agreement with the Tar River Center for History and Culture Foundation that allowed the group to begin efforts to stabilize the East Nash Street building, which was built in 1875. FRANKLINTON -- Sheriff's deputies are looking for suspects in a break-in reported on Chavis Street. 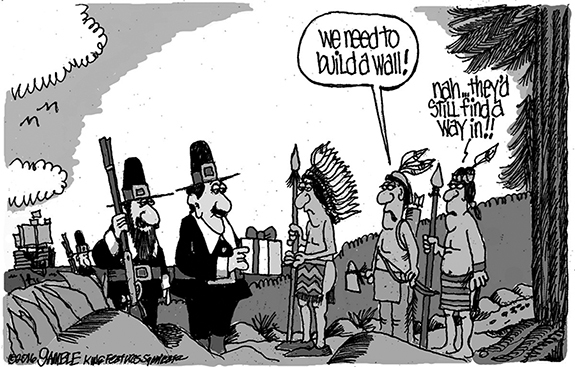 The incident was reported to authorities just before 8 a.m. on Nov. 27. Allen Chesser, who with his wife, Jessica, and their four children live outside Louisburg, has announced that he is challenging U.S. Representative George Holding for his seat in Congress from the Second District. 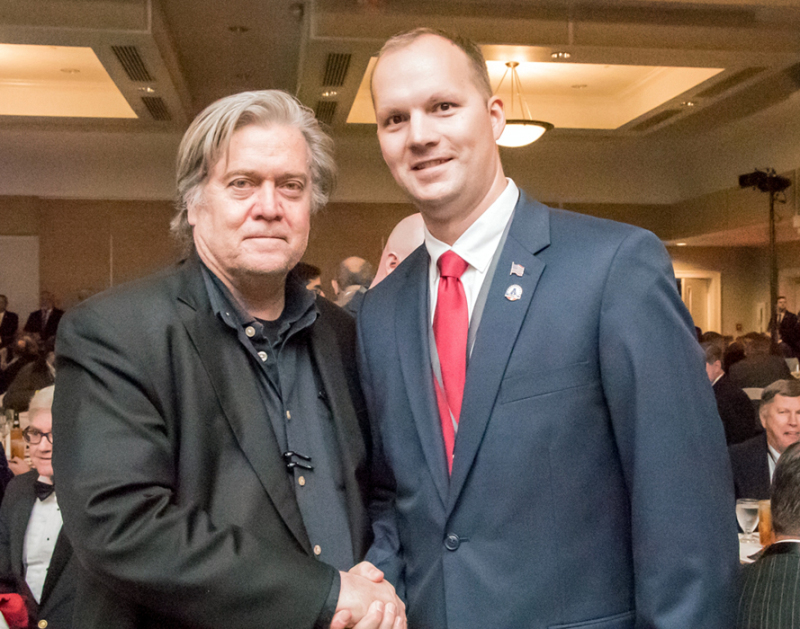 He said he decided to make the run for Congress because he was "shocked by the failure of leadership in Washington and its impact on the community," as well as difficulties he faced with the Veterans Administration for treatment for injuries he received in Afghanistan. Louisburg sidewalk project near reality? LOUISBURG -- One of the most-discussed projects in recent Louisburg history could be about to become reality. After more than five years of discussions, enough paperwork to build a small mountain and seemingly endless three-way negotiations between the town and both the state and federal Departments of Transportation, the sidewalks along South Main Street may be closer than you think. Kaylee Dalton, who is just 14 months old, is already in training to help during the Community Thanksgiving Day dinner one day soon. She's being held by her mom, Beth Dalton, who is the daughter of Mike Anderson, one of the founders and volunteers at the annual event. 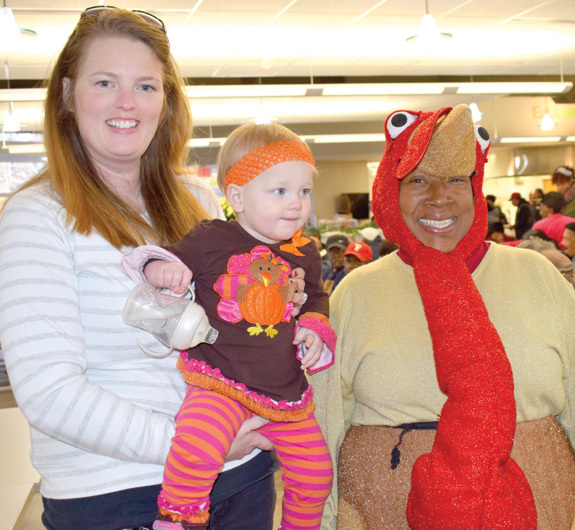 And Kaylee, all decked out in a turkey shirt, is meeting another Community Thanksgiving dinner regular, Joyce McLeod, who just happens to dress up like a turkey to add an extra bit of flair to the festivities. 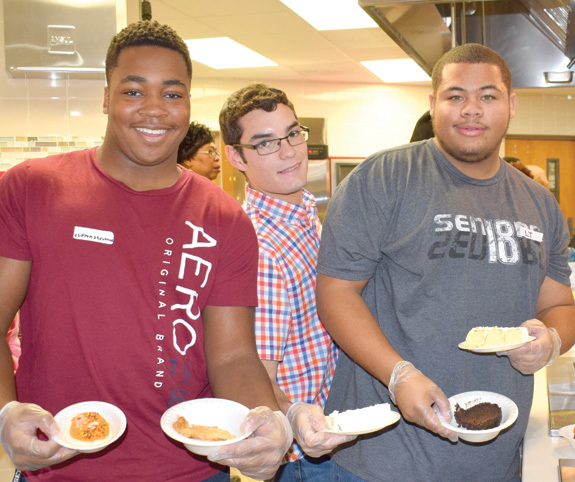 These three Franklinton High School student volunteers manned the dessert station for the dinner -- and had many selections to offer. 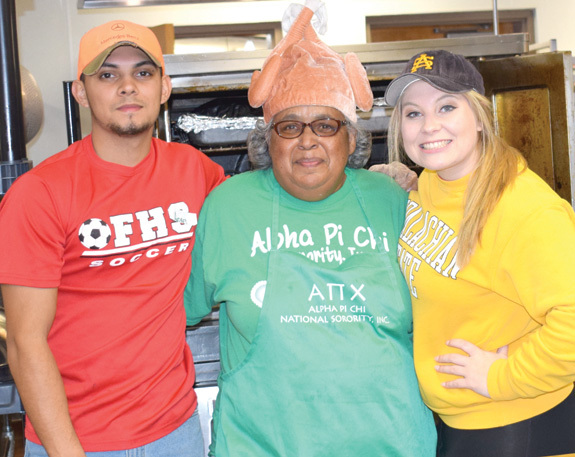 From the left are Clifton Strickland Jr., Noah Faracca and Louis T. Coley Jr.
Long-time Community Dinner volunteer Geraldine Manley (wearing her soon-to-be-world-famous turkey hat) recruited two expert helpers, Andres Sanchez of Franklinton High School and Alex Cardwell of Louisburg High School. 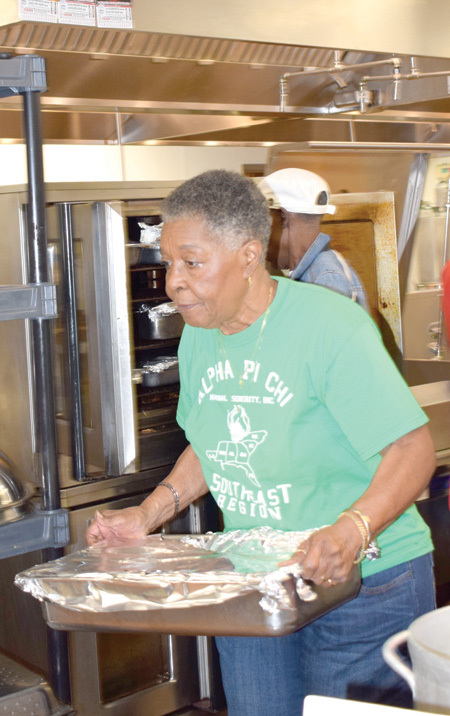 Phyllis Perry, who is the manager of A Blessing, Inc., which supports the Community Thanksgiving Dinner, grabs another pan of food and heads to the serving line. With a community dinner this big, cleanup is a huge task. That's where Franklinton High School volunteer Kaylaub Holman stepped up -- making sure the plates and other items were ready when they were needed.